Welcome to Soleil Tans, New Jersey’s premier tanning salon. Soleil Tans is dedicated to providing a unique tanning experience with state-of-the-art tanning equipment in a clean, comfortable and stress-free environment. We pride ourselves in providing the highest level of customer service and quality of tan. We’d like to think of ourselves as a getaway from your day-to-day bustle. Truthfully, we want to be known as the place where you “silence your stress.” We want you to walk a little taller, with a glow of confidence and a positive attitude. Soleil Tans offers an extensive variety of equipment at the greatest value for packages and memberships that will surely satisfy the most discriminating tanner. You owe it to yourself to experience the best New Jersey Tanning Salons New Jersey has to offer. Shawn J. Smith is the founder and CEO of Soleil Tans. Born and raised in Central New Jersey, Shawn has had his pulse on the heartbeat of Jersey Girls his entire life. Soleil Tans embodies all of the West Coast love of sunshine and mixes it with the luxurious pampering that girls on the East Coast demand thanks to Shawn’s vision, leadership and unrelenting standards of excellence. Shawn’s business sense was developed early when he dove into self-employment during high school. Striving for 100% customer satisfaction has been Shawn’s underlying goal as he progressed from his first entrepreneurial endeavor to his successful chain of tanning salons – Soleil Tans. Shawn has actively sought out new technology and progressive business practices to continue to grow the scope and success of his salons. As an active member of Entrepreneurs’ Organization, Shawn draws additional business knowledge from a large pool of well-established business owners of like minds. Shawn has come to realize the value of having a dedicated team, both inside and outside of the walls of Soleil, to flush out the ideals that make Shawn’s salons customer-centric. Not to be overshadowed by his business success, Shawn’s personal success also stands out. Shawn is an avid traveler, with the list of countries he has visited growing steadily. 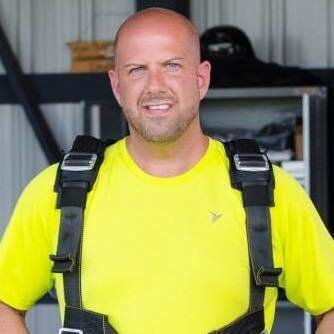 Shawn’s love of adventure has brought him to the highest heights while sky diving, and the deepest depths while scuba diving. While on land, Shawn has been known to visit historical structures, seek out beautiful natural offerings and even befriend a tiger or two. Shawn loves and respects all that this world has to offer and makes sure to show gratitude in his daily life. Through monetary donations to charities that are near and dear to his heart, as well as giving the gift of time to feed those at his local food banks, Shawn pays his success forward every chance he gets. Be sure to say hi the next time you see Shawn at Soleil!